We are experts in Electrical, Heating and Cooling. Founded in 2003, Harder Electrical & Mechanical provides quality service at a fair price. Dave Harder, founder of Harder Electrical & Mechanical, has been serving customers since 1992. With Harder Electrical & Mechanical, you can always expect a friendly face. We are experts in Electrical, Heating and Air Conditioning services. Harder Electrical & Mechanical was founded with the philosophy of providing quality services for a fair price. With extensive training in electrical, mechanical, and refrigeration, Harder Electrical & Mechanical not only stands behind the work we do - we also warranty it. 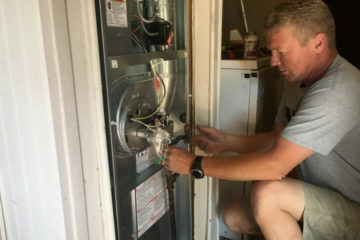 Since its doors opened more than 15 years ago, Harder Electrical & Mechanical's success has been based on providing quality services to the community at a fair price. From repairs and replacements to new equipment installations, Harder Electrical & Mechanical ensures on-time service and open communication with our customers. Our company follows through on our promises, and our technicians are knowledgeable and reliable. Harder Electrical & Mechanical serves the Albuquerque, Tijeras, Edgewood, and Moriarty areas. Locally owned and operated, Harder Electrical & Mechanical is open five days a week and on call on Saturday. Our experienced technicians install all brands of equipment, and we offer a 1-year warranty on labor along with any manufacturer's warranty on your products. 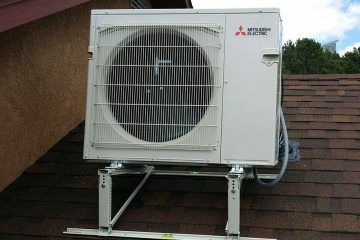 Harder Electrical & Mechanical believes in providing quality heating, cooling, and electrical services for a fair price. When you hire Harder Electrical & Mechanical, you receive the professionalism and breadth of expertise of a large company, at the price of a smaller business. In order to minimize overhead, we operate a fully-mobile operation, passing those savings on to you, our valued customer. Highly-skilled technicians in heating, cooling and electrical. 1-year warranty on labor, and we honor all manufacturer's warranties. Emergencies happen. We will do our best to schedule an emergency repair for you on the same day you call. Trusted and responsible. Our technicians are fully-licensed, bonded and insured for your protection, and their safety. Our qualified technicians provide free estimates for replacements and new installations, and will provide you with a written quote. We take pride in the work we do. On-time and on-budget, we respect your home or business and leave our work area clean and debris-free. In business for more than 15 years, Harder Electrical & Mechanical has earned a reputation for quality service and superior work. Please contact us today to request an estimate for your next heating, cooling or electrical project, or to request emergency services. A friendly and experienced representative will handle your request promptly. Dave and his crew have done many jobs for us. He is local right here in the East Mtns …he did a service on our whole house generator. Dave came right out and had my generator ready for another year of dependable service. Call Dave, he’ll treat you right and do you a first class job. Thanks to Dave Harder for answering all my questions and providing his recommendations on a new combination furnace and A/C. They were prompt, efficient, and friendly. I would not hesitate to recommend him to anyone. Dave and his crew have done many jobs for us. He is local right here in the East Mtns …he did a service on our whole house generator. Dave came right out and had my generator ready for another year of dependable service. 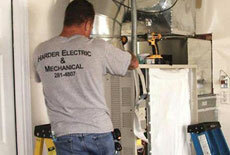 Since 2003, Harder Electrical & Mechanical has provided residential/commercial heating, cooling and electrical services. Our experienced technicians install all brands of equipment, and we offer a 1-year warranty on labor along with any manufacturer’s warranty on your products. Copyright © 2018 Harder Electric & Mechanical Services.